We are a leading Manufacturer of reduce port cage for petroleum and gas valves and control valve plug for petroleum & gas valves from Coimbatore, India. 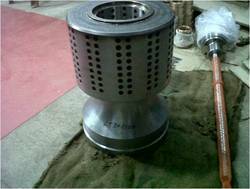 We are involved in offering a wide range of Control Valve Reduce Port Cage to our most valued clients. Our range of Control Valve Reduce Port Cage is widely appreciated by our clients which are situated all round the nation. We offer our range of Control Valve Cage at most affordable prices. 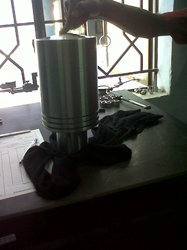 We are one of the leading manufacturers and suppliers of Control valve internal parts like Plug,Seat Ring ,Guide Bush,Bonnet etc., with/without overlay(stellite,316,inconel)Welding in all type of materials as per customer drawings and requirements.The offered parts are very widely used for the industrial applications involving pressure regulation in pipelines. Our offered plug is made from high grade raw materials, procured from very reliable vendors in the market. Looking for Petroleum and Gas Valves ?